The meeting was a great success, generating an excellent spirit of cooperation amongst all. Some 111 participants (including the organising committee) from 29 countries attended. 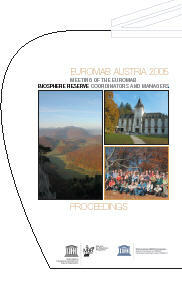 Participants ranged from coordinators of well established Biosphere Reserves such as the Rhön, Vosges du Nord/Pfalzerwald TBR, to those from newly designated sites such a Camili (Turkey) , and some candidate sites such as Prespa in the FYR of Macedonia. There were also representatives from countries with "old" biosphere reserves in need of revision such as Bulgaria Hungary, Russia and Ukraine.